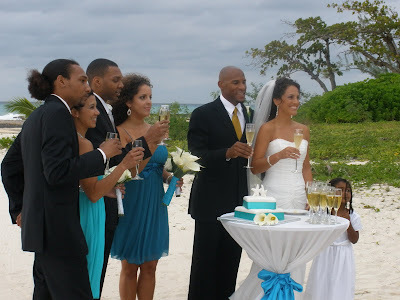 Destination Caribbean weddings are very popular these days, and one of the most popular is a Cayman Wedding. 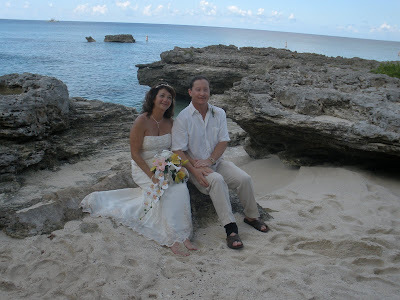 Grand Cayman is a favourite stop on the cruise ships itinerary, and the easiest place to be married. We have many beautiful beaches, and other great wedding locations. 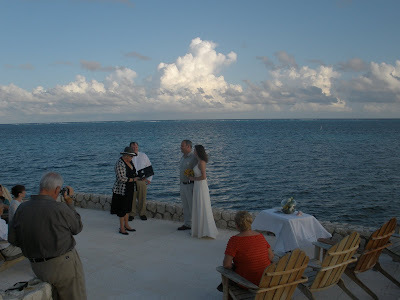 When you have a Cayman wedding as part of your cruise vacation you can combine the wedding and honeymoon. You can come as just a couple, or you can bring a group of your family and friends. 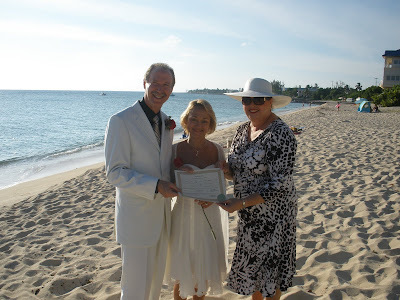 When you choose a Cayman wedding with Simply Weddings - Grand Cayman Wedding Celebrants and Planners you can be sure of personal service, elegance, and attendance to detail. Some couples choose to bring more elegant attire, in which case there is no charge to use our Bridal Room when you choose our all-inclusive Cayman Cruise Wedding package. For a few dollars more you can add chilled champagne served on the beach to even the simplest of our Cayman wedding packages. I enjoy doing ceremonies which include children, and try to find ways to include them. If you're a stayover visitor you have a myriad of locations to chose from, including this Cayman Castle location on the eastern end of the island. My Secret Cove, is of course my favourite wedding location. However, please note this spot is not appropriate for large groups. 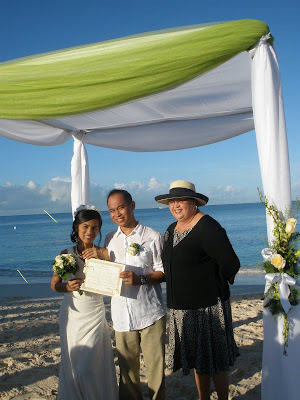 Sunset weddings are very popular, but this wedding on Seven Mile Beach was at sunrise. The beaches at the far end of Seven Mile Beach, Blue Water Beach, Bus Stop 29 and Mary Molly Hydes beach are equally suitable for your perfect Cayman Wedding. Of course you can choose to be married at one of our popular restaurants like the Wharf, which has its own private beach seen here. 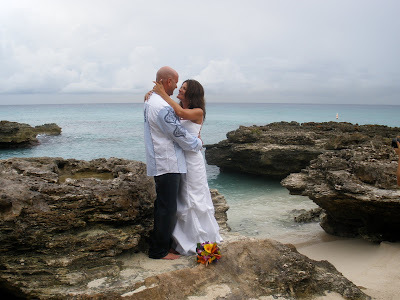 This type of rock is called iron-shore, and the texture provided by the contrast of white sand and dark rocks makes these small coves a popular choice of couples for their Cayman wedding. This is another shot of My Secret Cove, of course. Couples can also choose to be married on a boat. This wedding was aboard "Oh Boy!" near to world-famous Stingray City. 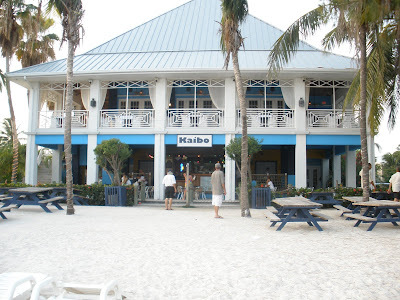 The popular Kaibo restaurant on the north side of Grand Cayman is a popular location for both Cayman weddings and wedding receptions. 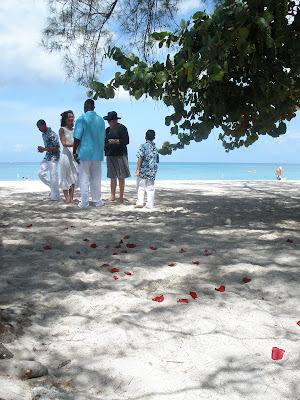 This group chose a picnic under the sea-grape trees at Blue Water beach, after their Cayman Cruise Wedding.